BVMS Chartered Accountants are passionate about supporting the local community. 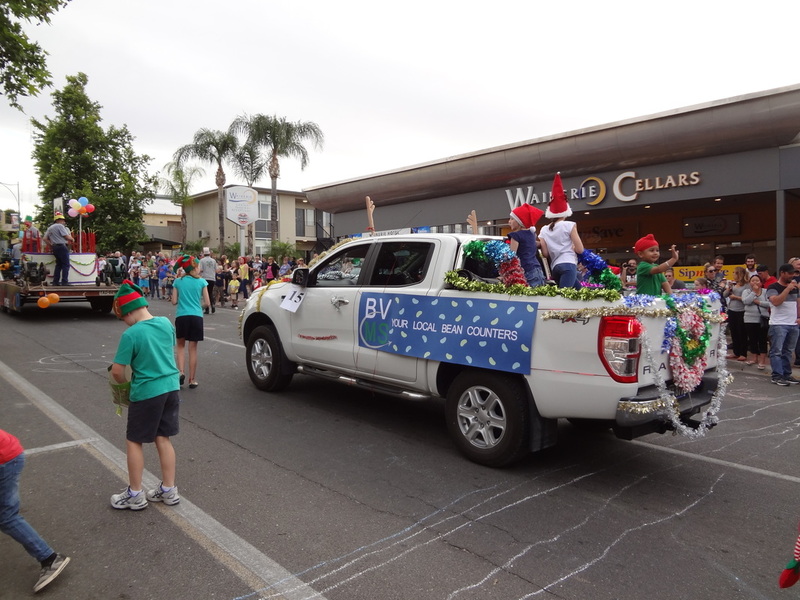 We support local businesses wherever possible and source the majority of our supplies from within the Riverland community. 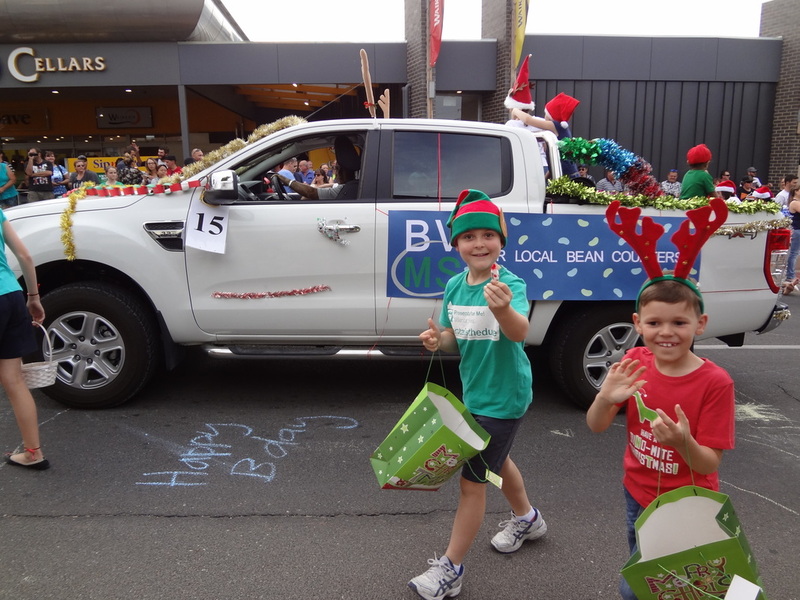 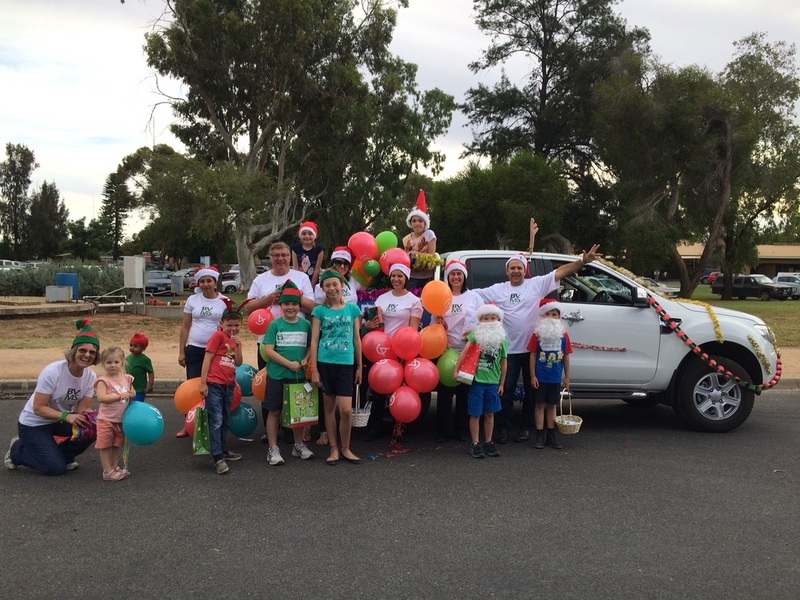 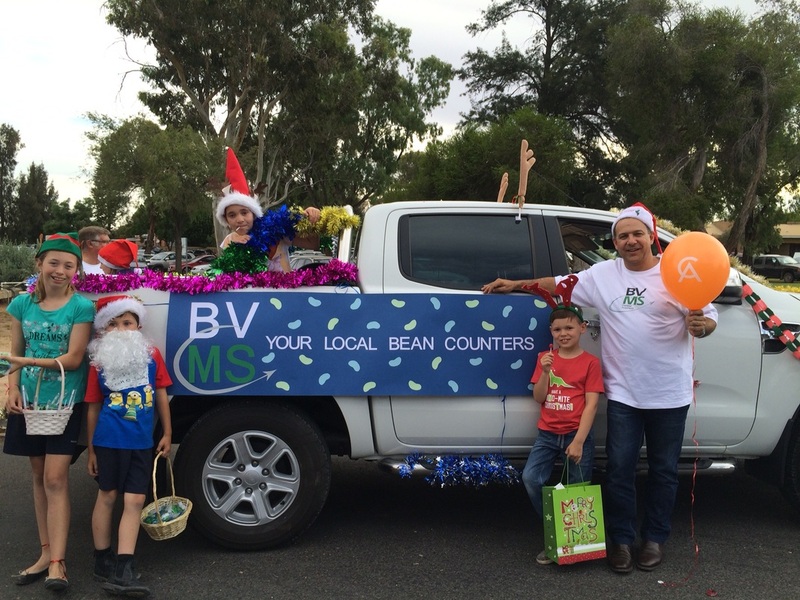 Waikerie Christmas Pageant 2015 - BVMS Your Local Bean Counters! We entered our first float in the pageant this year, which was enjoyed by our team members and our young families as well. Father Christmas is now in residence at Santa's Cave (located in the Waikerie Institute) taking requests from good girls and boys... 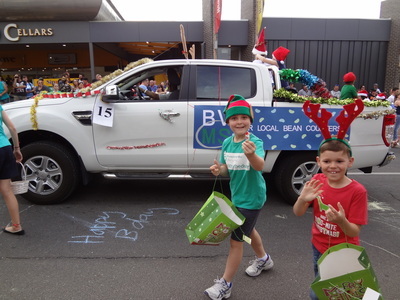 Better be on your best behaviour! 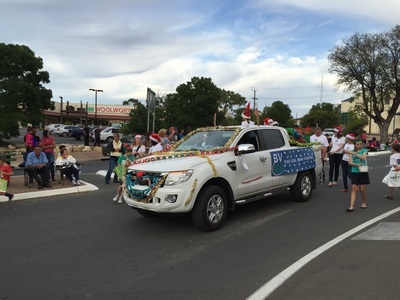 Our footy and hockey colours are out this week in support of the Waikerie Football Club and Waikerie Hockey Club, with both clubs having a number of teams in grand final games this weekend. 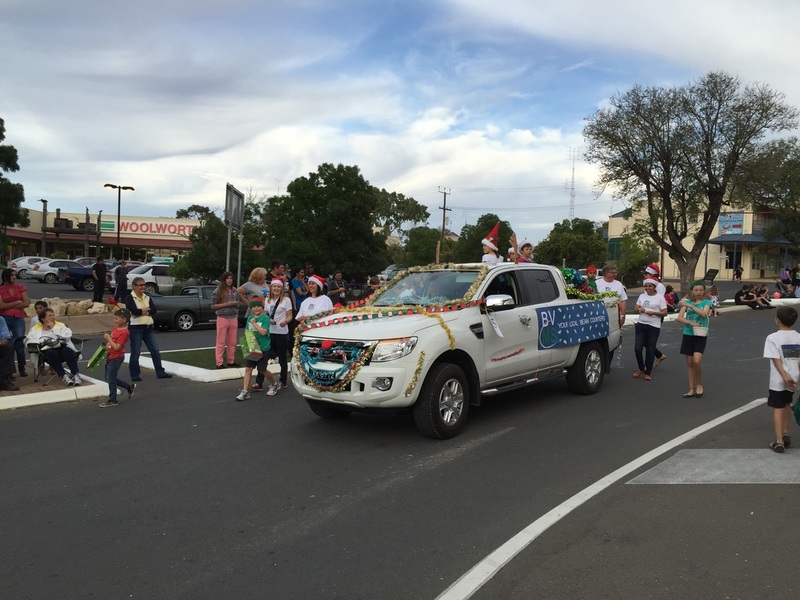 Good luck to all of the teams, we hope you bring home the flags. 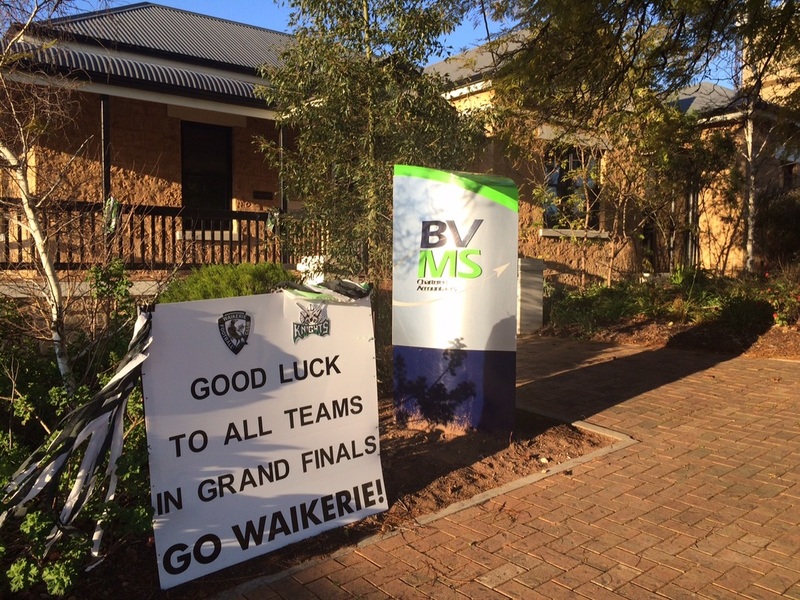 Go Magpies and Go Knights! !